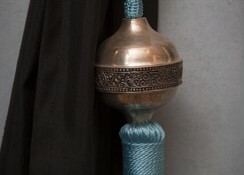 The charming Riad Rose Du Desert is a luxurious and traditional riad located right in the medina of the city, just a short journey from a number of the best sights and attractions in the city including the Saadian Tombs, the Koutoubia Mosque and the Majorelle Gardens to name just a few. Typical of a traditional riad, the Rose Du Desert boasts a delightful inner courtyard area for guests to relax in as well as a roof terrace for guests to sunbathe by day and stargaze by night. 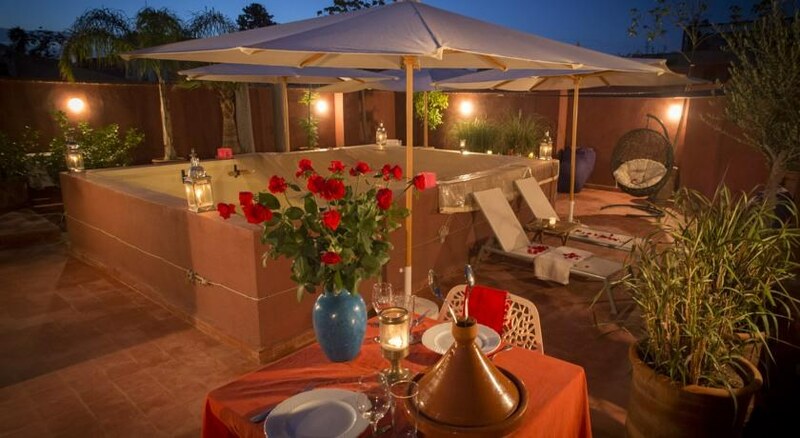 Each of the rooms are nicely decorated in a traditional Moroccan style and feature a seating area, flat-screen TV with satellite channels, safe deposit box and modern ensuite with bathtub or shower. For dining there is a restaurant serving a range of traditional Moroccan cuisine for lunch and dinner, plus a breakfast service is offered daily. Additional amenities include a luxurious lounge area with fireplace, car hire, 24-hour front desk, express check-in, currency exchange, luggage storage, and childcare and laundry services. 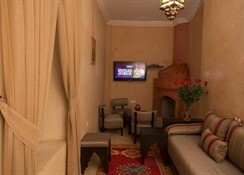 This hotel is ideally suited to those seeking to those seeking a relaxing stay in a traditional riad in the heart of the city. There is a sun terrace with loungers for guests to relax on after a busy day sightseeing. Each of the rooms are nicely decorated in a traditional Moroccan style and feature a seating area, flat-screen TV with satellite channels, safe deposit box and modern ensuite with bathtub or shower. Certain amenities may be payable locally. The restaurant serves a range of Moroccan dishes for lunch and dinner.